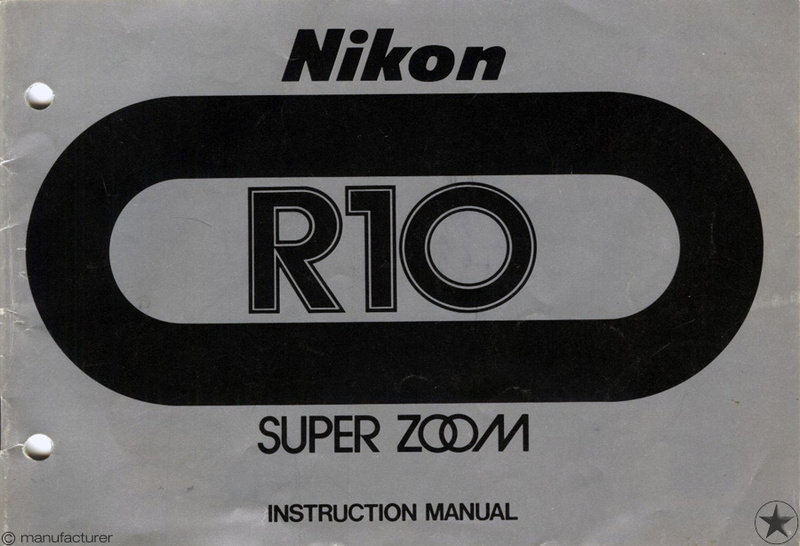 Only then Nikon put its name on it. 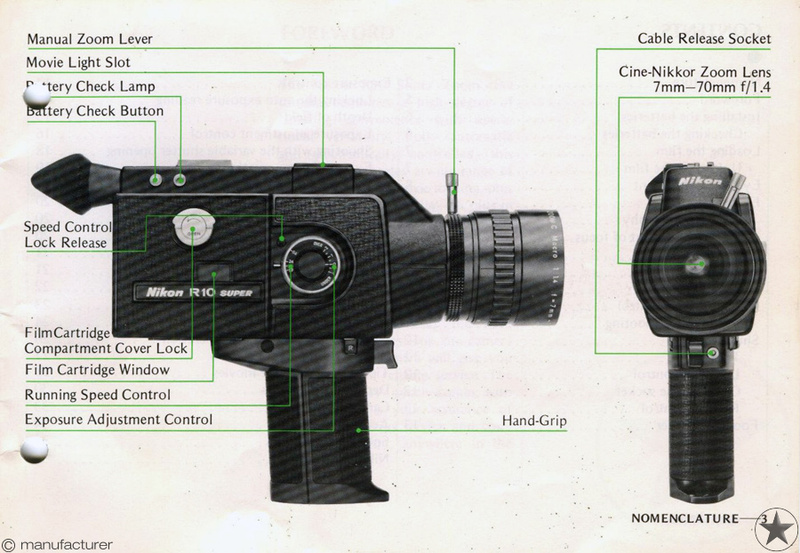 Judging from the variety of Super 8mm film cameras brands and models, it was not difficult to make one. Many people have done it. But when a brand has a name and reputation like Nikon, it can't rush into production. It took them almost five years before releasing a new standard of perfection. 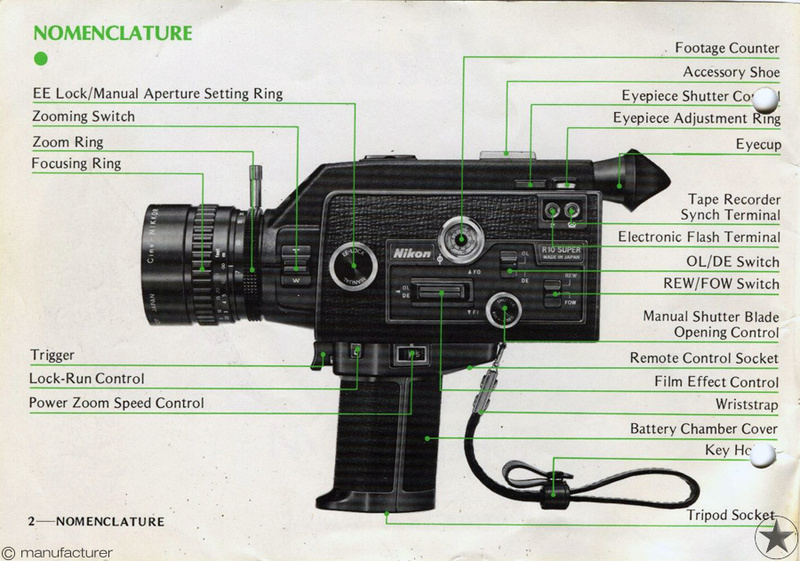 This camera represented, and still does, the first choice of top photographers around the globe. Loaded with professional features like a 10 to 1 zoom lens, automatic fade in/fade out facility, a lap dissolve or even the highly acclaimed reverse filming. All these things that professionals need and use for feature film production - all located in a neat, control console on the left side of the body. 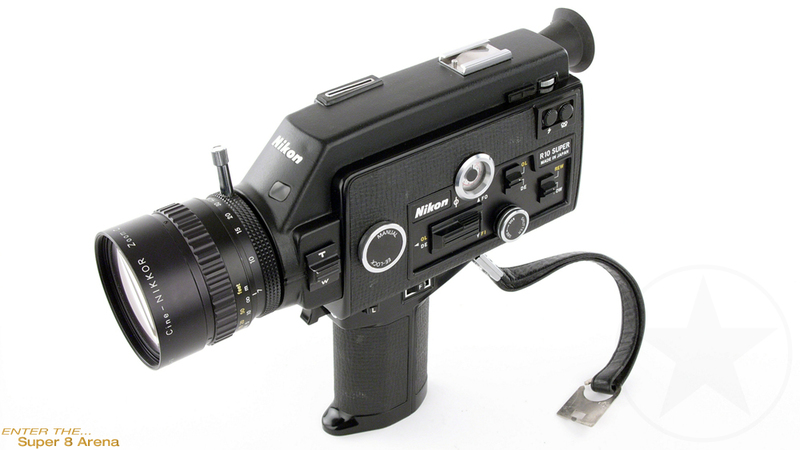 To sum it up: there are many Super 8mm cameras on the market, but when its name is Nikon, you know it's good. 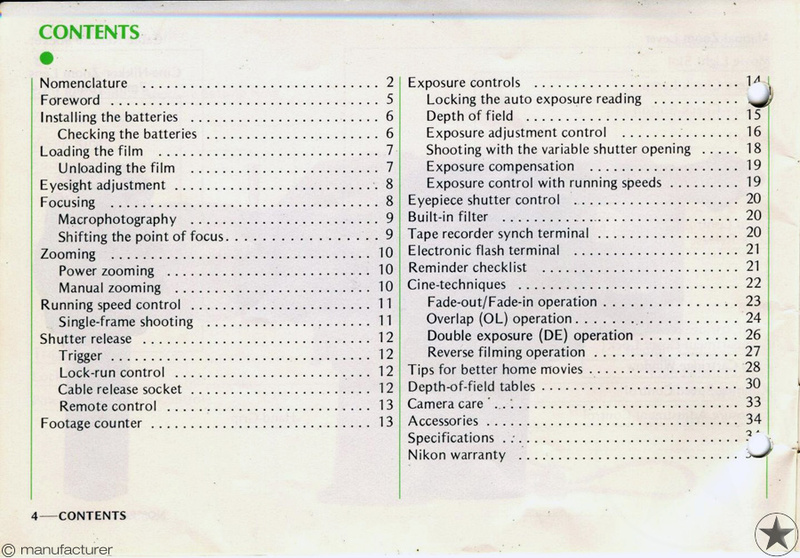 EE-lock, exposure compensation, lap dissolve, fades, double exposure.